When fixing a car, it is much easier if you can take everything apart and look behind the paneling. The same applies for employees in training – since reading diagrams and drawings is simply not the same. However, taking cars to pieces for training purposes is in no respects a cost effective solution. 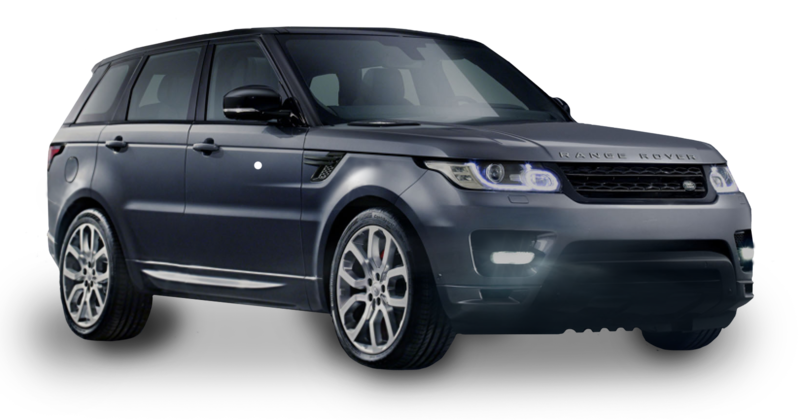 Jaguar Land Rover (JLR) training and development was looking to solve this with a technical training app that could train employees without having to remove and reinstall the dashboard of the Range Rover Sport vehicle. 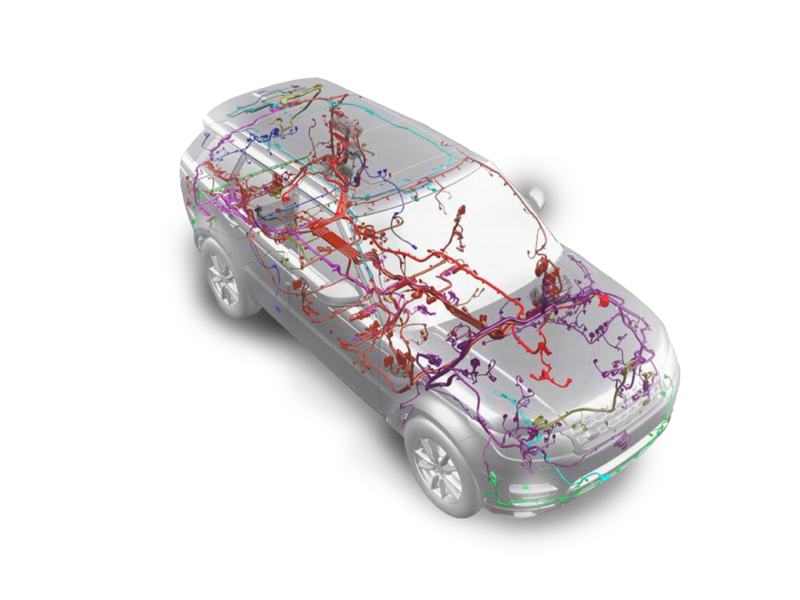 In addition, JLR wanted an app that could give colleagues ‘X-ray vision’ into the car showing the exact location of the British car manufacturer’s auto components for practice and repairs. In colla­bo­ra­tion with Bosch using the REFLEKT ONE or BOSCH CAP soft­ware plat­form for Augmented Reality, RE’FLEKT desi­gned an app that visua­lizes exis­ting JLR data inside the car for the mechanic. Simply point the iPad at the dash­board and you see ever­y­thing that is hidden behind the pane­ling. Not only can you see the accurate representation of the internal wiring, sensors, connections and fittings in their exact position, but it is also possible to select individual components and view them from different angles. 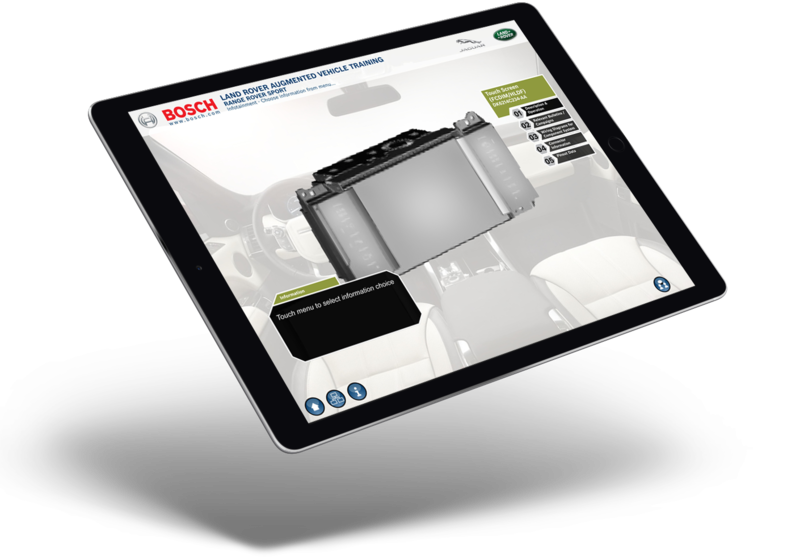 Moreover, the connections and wiring diagrams are displayed in the app – allowing instructors to perform actual training on the vehicle without the costly reassembly time.